- The color for the wine box. - The color for the lettering. - Any two first names and any year. All other text included as shown. 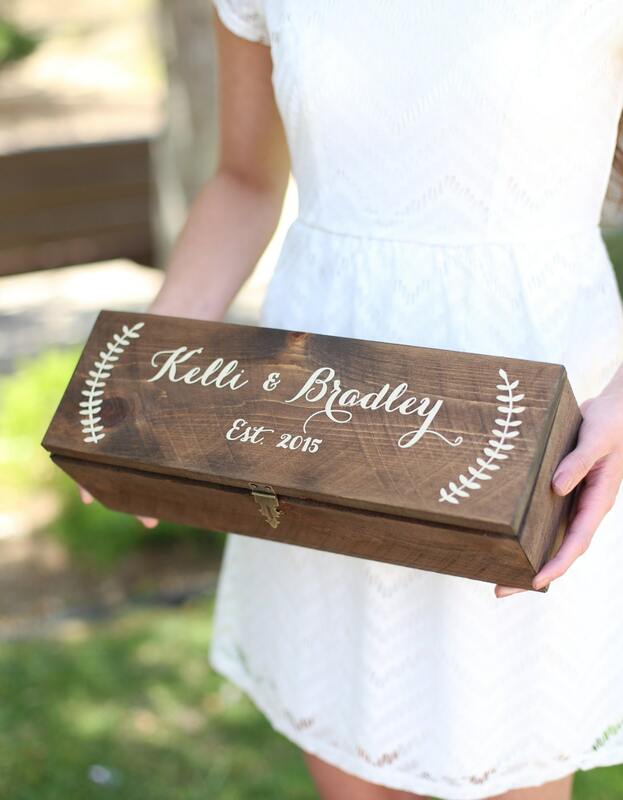 This wine box is shown in dark walnut with cream lettering and is absolutely gorgeous; it makes a beautiful personalized gift for weddings, Christmas, Bridal Showers, Anniversaries, and Housewarming parties. Gorgeous, functional, and a timeless beauty! 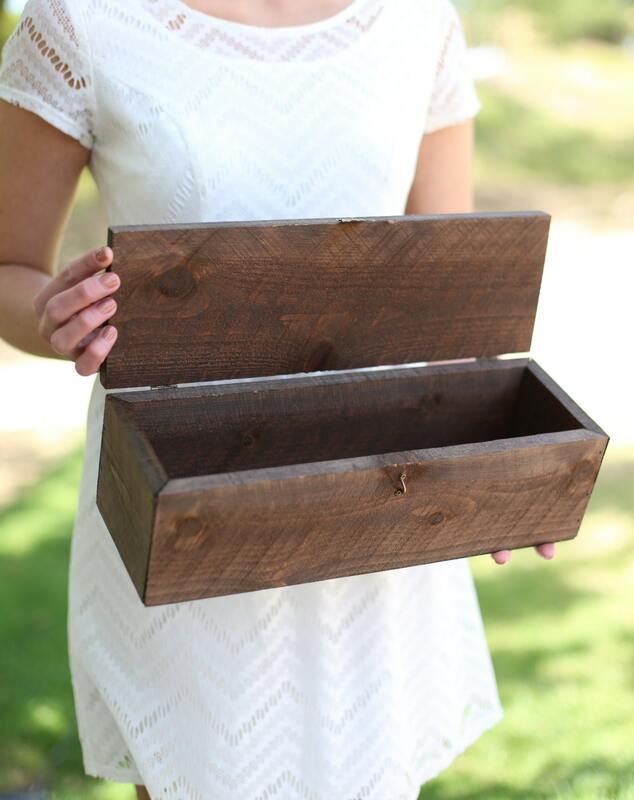 You can customize this wine box to perfectly match any decor & colors. 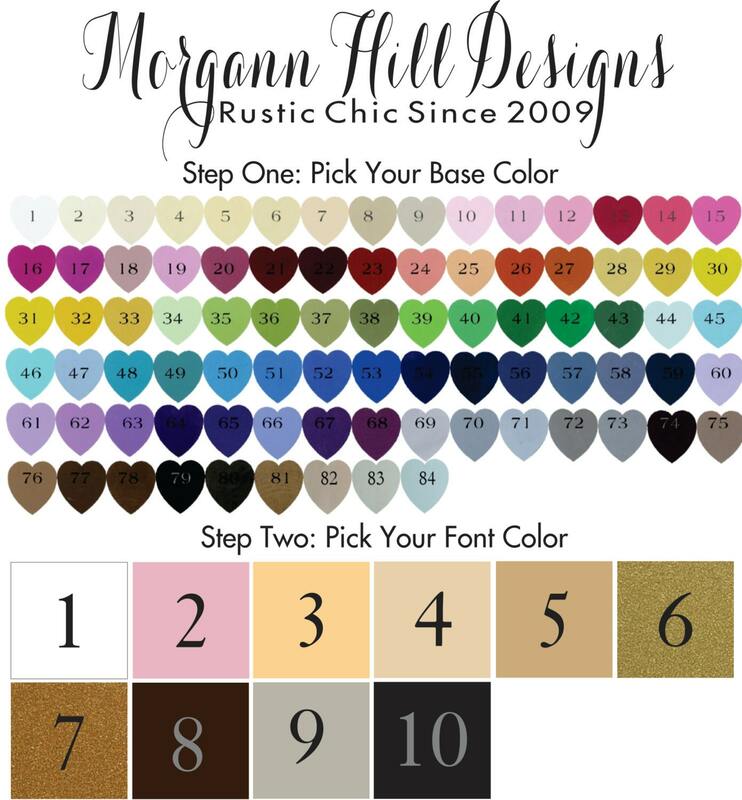 For a rustic cottage you might consider picking Dark Walnut for the sign and Cream/Ivory lettering. For a shabby chic style you might consider picking Light Buttermilk for the box and Pale Pink lettering. 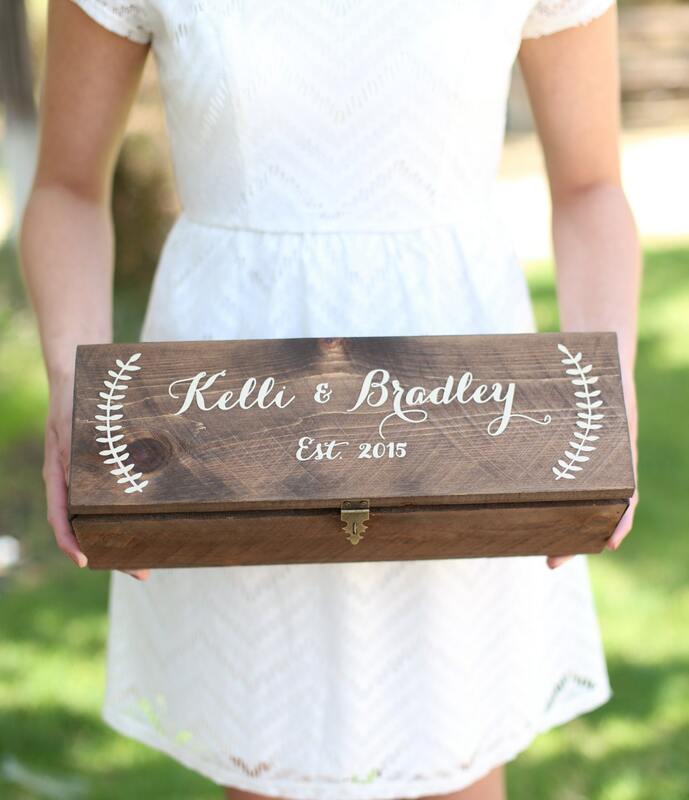 This listing shows the wine box in dark walnut with cream lettering. Measures about 15" x 5" x 4" and accommodates one standard bottle of wine. Includes lock & key.